Updated 06-21-2018 --- Fixed notification announcements and updated the animation to be more suitable. 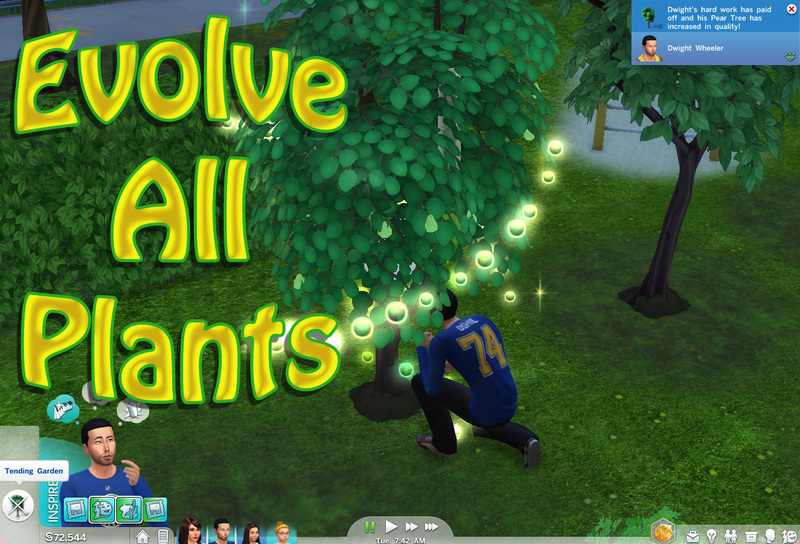 Updated Dec 13, 2017 - Version 7b now restores the feature of Sims being able to autonomously evolve all plants. Updated Dec 9, 2017 - The updated mod doesn't do everything the old mod used to do, but it should suffice for now at least! I wasn't even seriously considering touching this mod at all with all the plant objects that would need changes until I noticed in the comments that someone posted that the game was supposed to allow all plants to be evolved by default now but it wasn't working properly. Fixes the evolve plant action so that all available plants on a lot are evolved. The game was updated at one point to supposedly allow all plants to be evolved in this manner, but they were missing some crucial bits of XML code required to make it work past a single plant. Fixes the bug which prevented plants being evolved past the first one as counting towards level 2 of the nature aspiration. Since they added the "continuation" XML to the plant objects, only three XML files needed to be adjusted to make these fixes, making the mod a LOT easier to update in the future (before every single plant object needed to be edited with every game patch, a time-consuming and error prone task). This doesn't include the old mod features of autonomous plant evolution, or the inclusion of evolution occuring during the "tend garden" cycle. Still fully compatible with Faster Gardening (which has also been updated). All outdated versions of the mod have been removed and are no longer supported. This mod for The Sims 4 will cause the Evolve Plant action to work like weeding and watering, the sim will automatically move from plant to plant evolving each plant which is eligible. In addition, the Evolve Plant action has been added to the Tend Garden cycle. This mod is fully compatible with the most recent version of the Faster Gardening mod. 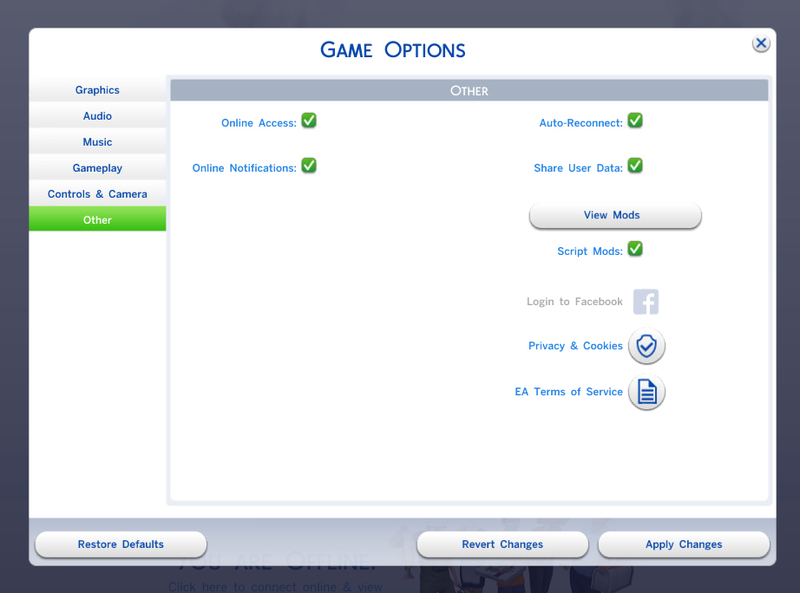 For version 7 there is only one flavor of the mod, no separate packages are required anymore for different game packs. Simply pop the package in your mods folder and EAxis's mistakes go bye-bye. The mod was written for TS4 version 1.44.77.1020 (June 19, 2018) and is incompatible with earlier versions. This mod may cause conflicts with other mods which change gardening actions or plant objects. Due to the wide variety of mods and sources for them, it is unlikely I will be able to help you with such a conflict. Install only one version of the mod. The download contains three packages, one for the base game, one for Get To Work and one for Outdoor Retreat. Install only the packages for the game packs you have.